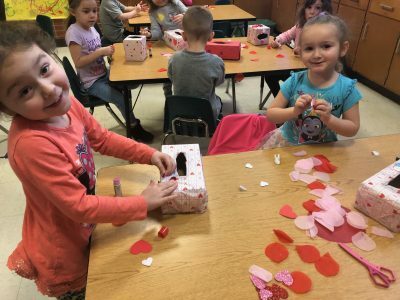 Valentine's Day Boxes at Cione! 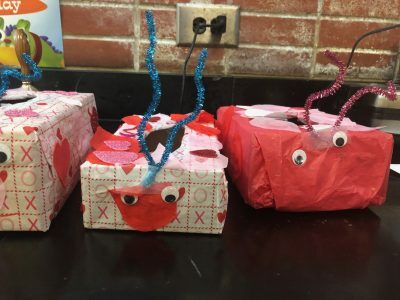 | Art Sphere, Inc.
Valentine’s Day Boxes at Cione! 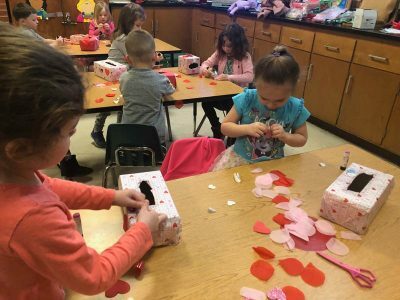 Adorable preschool love was in the air last week as the students at Cione Rec Center made valentines and created their own personal Valentine’s Day Boxes. Miss Mary Kate, the teacher at Cione, collected an abundant amount of material to decorate their boxes, allowing all of the students to make their boxes unique. Some of the students opted for googly eyes, while others went for a more traditional look. I’m excited to see these Valentine’s Day mailboxes in action this week. All of the students are bringing in cards for everyone, along with their homemade cards they made earlier in the week. They made cards using their favorite medium, Kwik Stiks, and then decorated them by gluing on hearts. 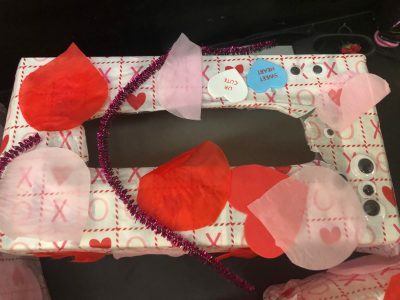 A lot of the students glued down as many hearts as possible to show just how much they love Valentine’s Day. 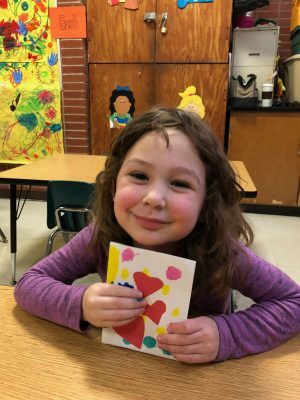 Share the post "Valentine’s Day Boxes at Cione!"